The director of U.S. Immigration and Customs Enhancement currently can delegate immigration enforcement functions to state and local law enforcement officers who receive appropriate training and operate under the supervision of ICE officers. 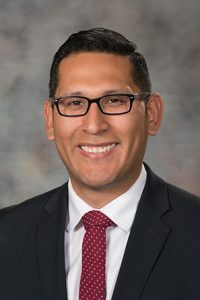 LB1082, introduced by Omaha Sen. Tony Vargas, would require a law enforcement agency or jail that enters into such an agreement with any other public agency to investigate, interrogate, detain, detect or arrest people for immigration enforcement purposes to provide written notification to the governing body of its political subdivision at least 30 days before entering into the agreement. Vargas said agencies that enter into such agreements take on costly additional work and reporting that traditionally would be paid for by the federal government. Local political subdivisions also would be liable for any civil rights violations that could arise from enforcement practices, he said. An enforcement agreement cost Alamance County in North Carolina $4.8 million in just one year, Vargas said, while Prince William County in Virginia spent $5 million more than anticipated in the first year of its agreement. The subdivision would be required to include the notice on the agenda for its next regularly scheduled public meeting to accept community feedback. Any agreement entered into by the Nebraska State Patrol also must be reported to the Legislature’s Judiciary Committee and the Nebraska Commission on Law Enforcement and Criminal Justice. Within 60 days of entering into an agreement, the agency or jail would be required to provide a report to the commission including a written copy of the agreement, notice to the political subdivision’s governing body and all records of public meetings held by the political subdivision about the agreement including any exhibits, testimony transcripts, statements made by governing board members or recorded votes by members. Rose Godinez, representing the ACLU of Nebraska, spoke in support of the bill. She said that communities have a right to know about issues that could impact the safety of residents. If a person is scared to engage with law enforcement because they are concerned about being deported, Godinez said, crimes could go unreported. “[The bill would not] prohibit an agency from entering into an agreement, it merely asks us to continue the proud Nebraska tradition of an open and transparent government,” she said. Latino American Commission Executive Director Lazaro Spindola also supported the measure. Preserving trust between members of the community and law enforcement must be the priority, he said. Opposing the bill was Omaha resident Larry Storer. He said the bill would impede the lawful enforcement of federal immigration laws.